its funny how the mainstream media state propaganda machine focuses on the riots rather than the cause of all this. I firmly believe that oppression from the state and also the fact that the bullet found in the pigs radio was police issue, showing us that untrained police officers unable to carry out their job at an acceptable level yet again kill an innocent and leave his poor family lost without their father. The media always focus on social disorder rather than their shadow masters. Non journalistic tripe that shows anyone with a brain that we live in a fascist country in more than one way. Anyone else think that picture, (that is fast becoming the image of the riots) is photoshopped? depends on who is circulating it….cant say for either way though as i dont have any photoshop experience. Interesting comment though. Great broadcast. Some honest views which are little expressed elsewhere. Linked from Ian Bone’s Blog. The ‘working class’ and underclass you all often refer to were hurt far greater than ‘the man’. Small family, immigrant businesses, charity shops, middleclass homes gone….why? I thought that was who were being defended. The reason why protests are celebrated in middle east countries is because those people dont (generally) loot, harm and kill its own citizens indiscriminately while bringing attention to their agenda and reforms. There is no doubt that the Western ruling elite have turned their backs on all subsequent lower classes – but the looters and killers did not target the ruling class. So it is “awful” that people lost their homes, but its ok because in ‘two years time’ they wont have it anyway….? As much as I agree with so much of the sentiment of the discussion, i really cannot believe that is the only justification you can come up with for working class people losing their homes. Let me know where you got your crystal ball. The police are thugs – a gang, but they were the lamest of gangs. Can’t even comment on them as they were clearly inept and unable to comprehend what was happening. The world would have listened if that hadnt happened. The middle east has shown that. The middle class? who are we the labour party? NO the middle class’s relation to the means of production are entirely different to small business owners leading to conflicting interests. No, there has been widespread looting in ALL of the Middle Eastern rebellions. Did you not hear the two girls from Croydon? didn’t know which party was in government but said that they were attacking the “rich”. The small business owners ARE the (visible) rich in their communities. What was said, was that as anarchists we can’t condemn the riots – wishing that other targets were involved is not the same as condemnation. Verdict – Pay more attention next time! And give people time to get to the ruling class looting in this country – that kind of targeted anger won’t happen straight away. 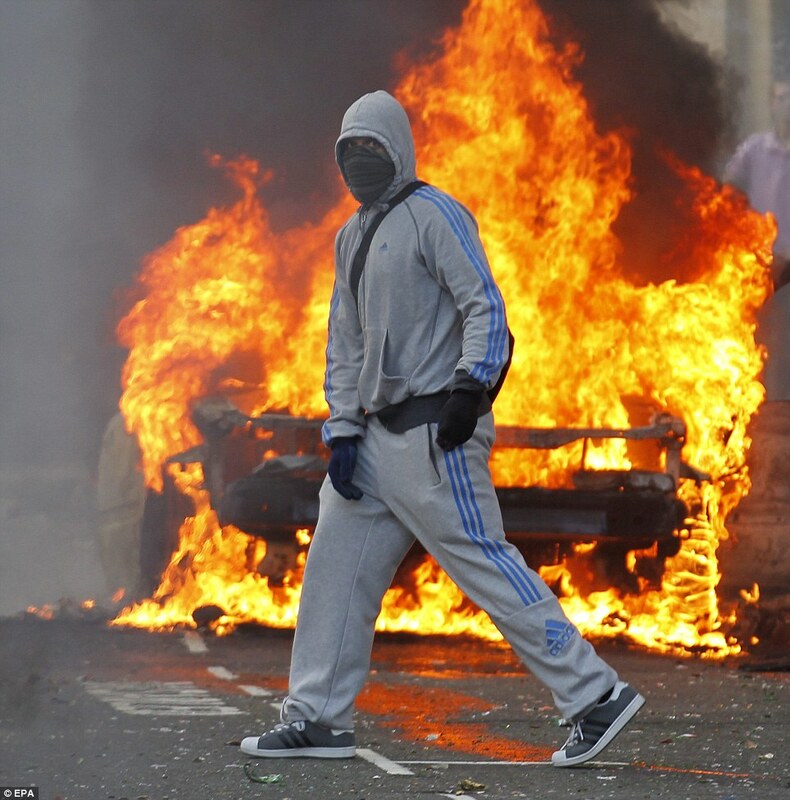 the UK riots were indiscriminate this time – maybe next time not so much.